So it's not nothing, something is happening... and Tygon saw it... right? Maybe the magic in the world is being disturbed by this new creature? Maybe this new creature isn't even from this world. 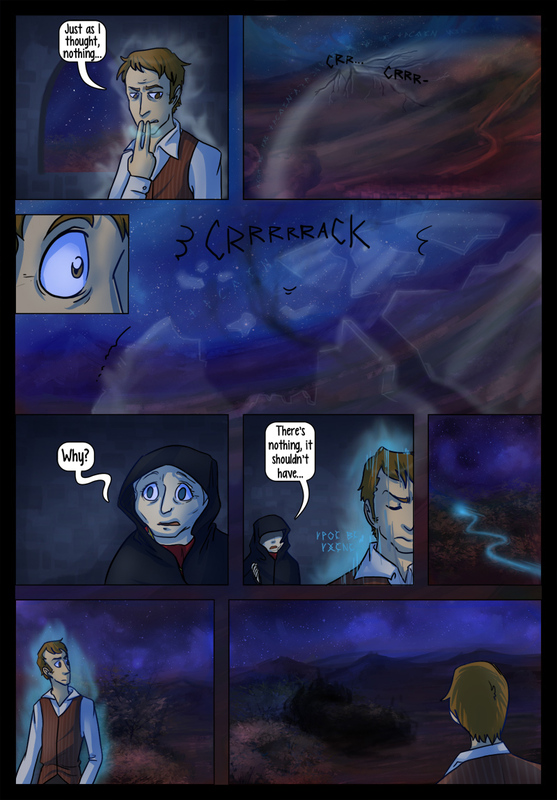 That black smoggy stuff (at least that's what I think it is) in the last panel is a but mysterious. Also, did the guy use super speed/teleportation or something to get over to where he is now?